As soon as the Christmas season approaches, mulled drinks seem to appear everywhere. 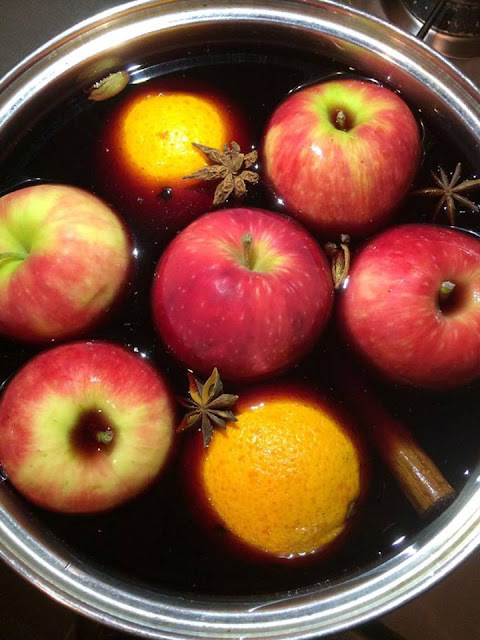 Mulled cider, mulled wine etc, they have started to become a Christmas market tradition now. They tend to be the perfect thing, just what you need after walking around the Christmas markets and can warm you right up after a few sips! As it is coming up to that time of year, I decided to put my own recipe together. Mulled drinks at Christmas markets do tend be a little pricey so I have always liked making them at home so you can create the same drink and not have the same price tag to go along with it. 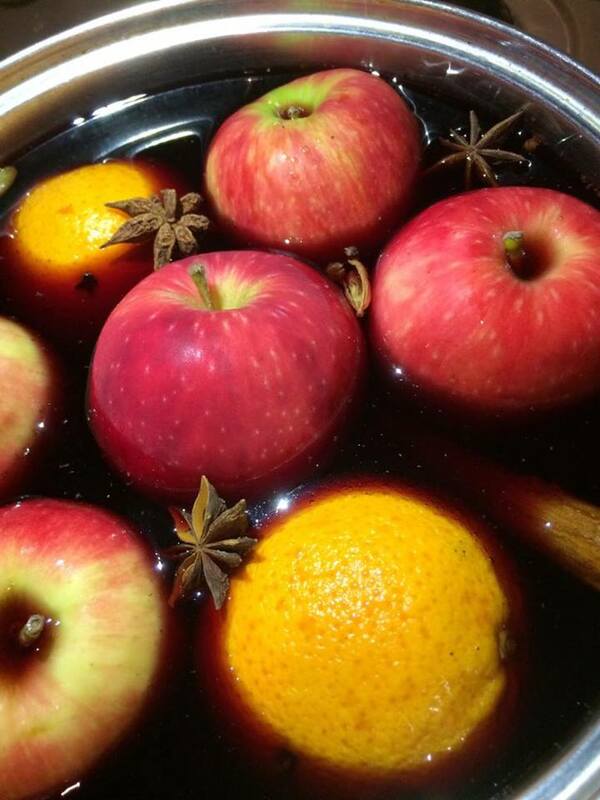 I am usually a big fan of mulled wine but this is a twist on the mulled apple drink but it still does use the wine. 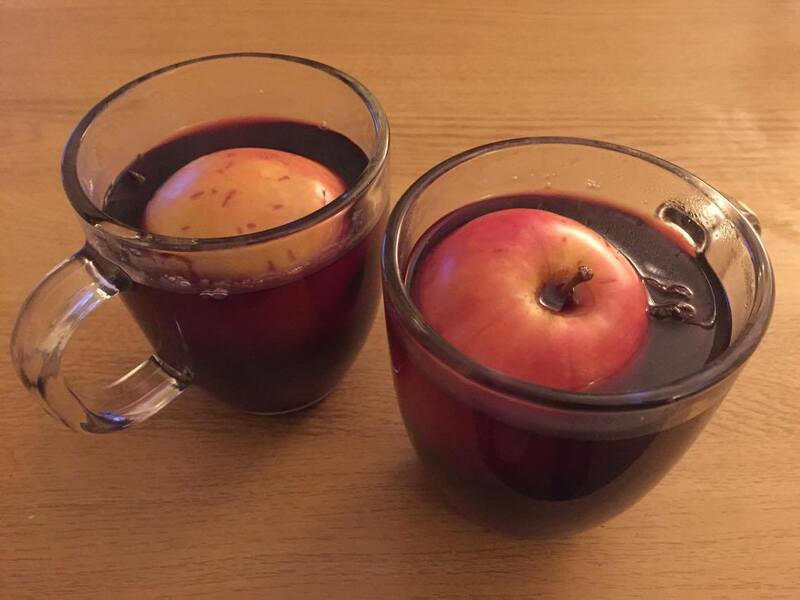 I have made a few mulled drinks before but I am no expert so do take ingredients out or add them in to suit your tastes, after all I think thats what most recipes are about.. well mine anyway. Before you start any recipe, make sure you have everything in your cupboards or get started and add them onto your shopping list. Again, you can add more or less depending on your taste and how much you are looking to make of drink. I wouldn't really add many more cardamom pods as they as they do pack a punch so go easy on them if you do want to play around with the recipe. I will increase the cider and the wine if you are looking to make a bigger batch. 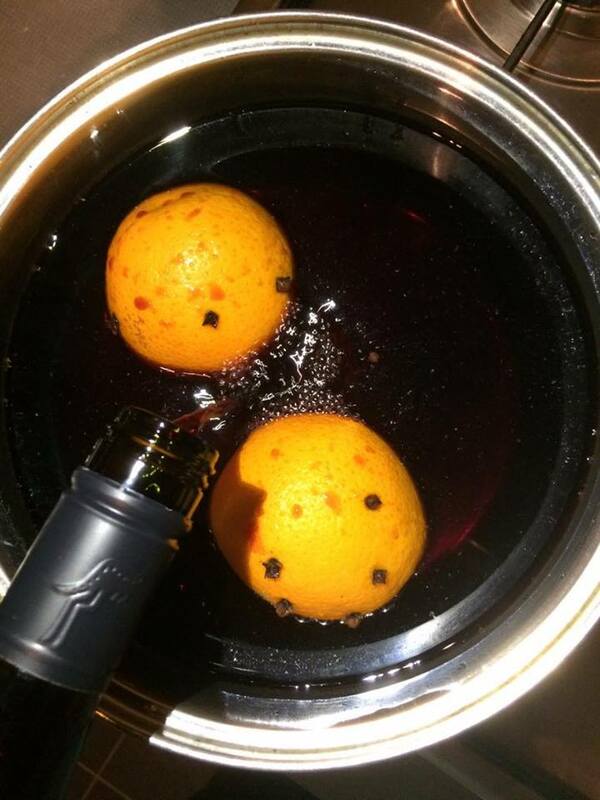 Start by adding the cloves to the oranges, you have to prick each one to allow the orange flavours to add into the mix. Put this then on a low heat, adding the merlot, cider, apples, cinnamon and a the cardamon pods. You can crush the cardamon pods but I think this is a little over powering and can take away the flavours from the cloves and cinnamon. Leave this for at least 15-20 minutes on a low heat, a high heat will burn off any alcohol and can make the flavour a little bitter. After this has been simmering away, pour into a jug and allow to cool so it is not too hot. I don't add this to any cups first as it may smash or crack the cups if the liquid is too hot. After it has cooled a little, pour into cups and serve. I usually serve with a cinnamon stick as this allows the flavour and scents to continue to permeate into your drink. *I was gifted a voucher to test out the recipe but the words and opinions are my own.